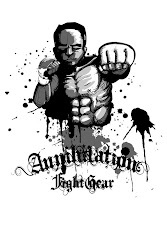 Chris Lytle ended his twelve year, 54 fight career with a third round submission victory over British bad boy Dan Hardy. Ben Henderson made a statement that he is trying to re-up for contention in the UFC lightweight division, earning a definitive unanimous decision over Jim Miller. Donald Cerrone unleashed a vicious ground-and-pound campaign to stop Charles Oliveira in the first round. Cerrone remains unblemished in Octagon appearances at 3-0 within an overall 5 fight win streak. 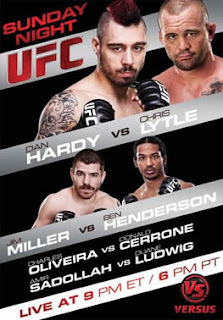 UFC Live on Versus 5: "Hardy vs. Lytle"